Shiv Sena founder, Bal Thackeray, was the de facto ruler of Maharashtra from 1966 till he passed away in 2012. Written and directed by Abhijit Panse, from a story by Thackeray’s trusted lieutenant, Sanjay Raut, the eponymous film covers his life from 1961 to 1995. Working as a cartoonist with the Free Press Journal, the demagogue rubbed his editor the wrong way with his political cartoons – antagonising higher-ups in the process. Pondering over it after losing his job, he realises that whether it’s at a restaurant or the share market, the Marathi manoos is derided and humiliated – that too in his own native state. His antipathy towards South Indians, who bag coveted jobs in the State, is apparent when he tells his followers, “Uthaao lungi, bajaao pungi”. 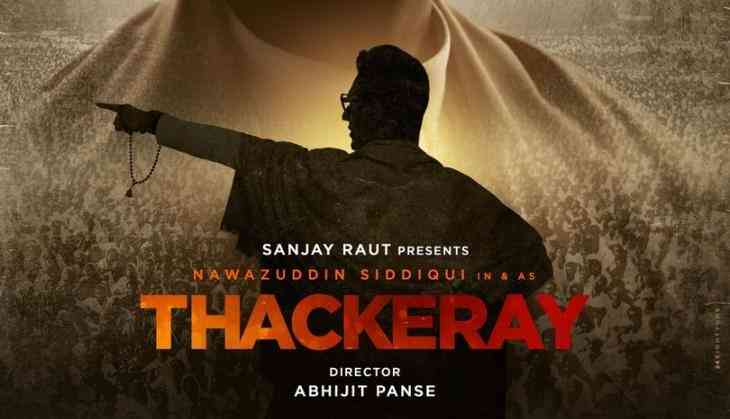 Even if one bears in mind that ‘some parts of the film are fictionalised’, ‘Thackeray’ is a free, frank and fearless episodic film (whether dealing with Muslims or the Babri Masjid demolition and the ensuing Mumbai riots or Chief Ministers or Javed Miandad, who comes to request Thackeray to ‘permit’ resumption of cricket between the two countries), making bold statements while encapsulating the politician’s milestones in his illustrious life. Political characters abound – Morarji Desai, Vasantrao Naik, Yeshwantrao Chavan, George Fernandes – when the latter visits Balasaheb in jail, he is told ‘Sometimes you need a spark to eliminate the darkness’. Even during the Emergency when he is summoned to meet Indira Gandhi (the actress portraying her bears an uncanny resemblance, though the diction seems to belong to the daughter-in-law! ), he firmly stands his ground. One cannot envisage any actor other than Nawazuddin Siddique to have portrayed Thackarey. Amrita Rao looks petite essaying Meenatai – his supportive wife. The film does well to eschew most of his personal life, especially the feud between son and nephew, presenting them just for a couple of scenes during the closing moments of the film. 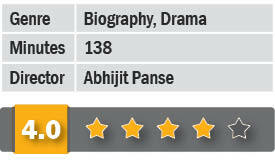 The film is mostly based on flashbacks while appearing in court in April 1994. On the flip side, there’s obviously no checking on the subtitles – Thackery and General Dire being two glaring examples. Also, the film fails to show his camaraderie with Behram Contractor, alias Busybee, who he shared a warm relationship with, during their stint at Free Press Journal.